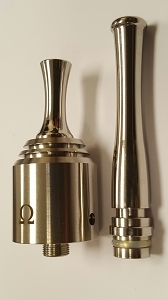 The Tobh V2.5 RDA, cloned by Ehpro, is made from stainless steel consisting of 3 pieces (excluding the drip tip). 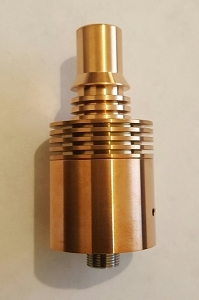 An adjustable air flow control feature provides different levels of draw, while the unique heatsink design on the top cap allows the heat to dissipate. 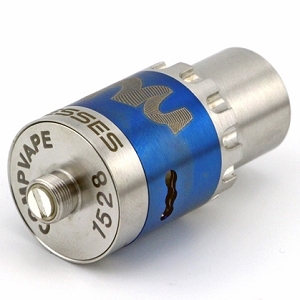 The internal portion of the top cap also features a conical design to decrease turbulent airflow or low pressure using. 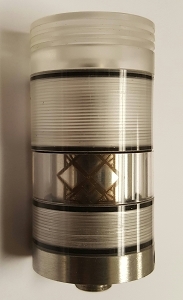 The 510 center connection is made from copper to offer a strong conductivity and performance. Compared to it's previous version, there are a few changes. A revised thinner fin design has been incorporated. 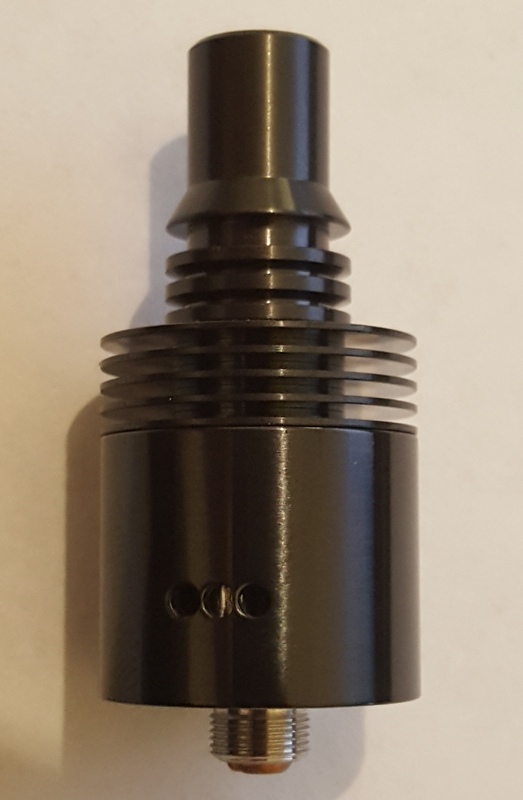 Redesigned conical internal cap, larger air flow, updated logo.